An occasional upset stomach or case of indigestion may not be anything for you to worry about, according to Mayo Clinic, but if you have recurring, chronic gastritis, you may have an ulcer and increased risk of stomach cancer. Honey has been used as a home remedy for gastritis since ancient times. Laboratory studies suggest that manuka honey, produced from the New Zealand manuka bush, has bactericidal activity against ulcer-causing bacteria, but clinical studies do not support these findings, according to Memorial Sloan-Kettering Cancer Center. Talk with your doctor before using any home remedy. 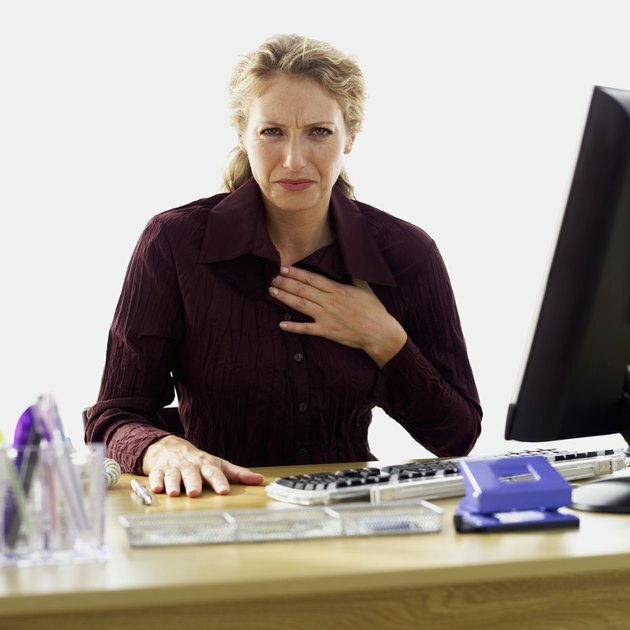 A variety of illnesses and conditions can cause gastritis, or inflammation of the stomach lining. Excessive stress, alcohol overuse and daily use of pain relievers, including aspirin and ibuprofen, may lead to gastritis, according to Mayo Clinic. About 50 percent of the world’s population may be infected with H. pylori bacteria, which can cause gastritis and ulcers. It’s possible to be infected with H. pylori bacteria and never experience any symptoms. Most types of honey contain components that generate hydrogen peroxide, a common antibacterial agent, which is ineffective after it’s diluted in your stomach fluids, according to the health-food publication “Eating Britain.” Manuka honey contains an additional, unique antibacterial agent, methylglyoxal, or MGO, from the manuka tree, which may retain its bactericidal properties in your digestive tract. A 1994 study published in “Journal of the Royal Society of Medicine” showed that a 20 percent solution of manuka honey inhibited seven strains of H. pylori bacteria. The study also showed that a 40 percent solution of a second honey with antibacterial activity primarily because of components generating hydrogen peroxide did not show any inhibitive activity toward H. pylori bacteria. Researchers concluded that manuka honey’s MGO-related activity appeared to be effective against the ulcer-causing bacteria and standard honey’s hydrogen peroxide activity was not. A 2010 study reported in “The British Journal of Nutrition” showed that high-grade manuka honey had no effect on healthy patients’ intestinal bacterial levels. The New Zealand Institute for Plant and Food Research tested the safety of manuka honey on 20 healthy individuals between the ages of 42 and 64 years. Test subjects ingested a little more than 1 1/3 tbsp. of manuka honey every day for four weeks. No changes in intestinal microbes were observed. While researchers concluded that manuka honey was safe for healthy people to eat on a daily basis, they added that no beneficial effects on lower intestinal bacteria were observed.